Each site has been built with a footer that includes information and links unique to the site. 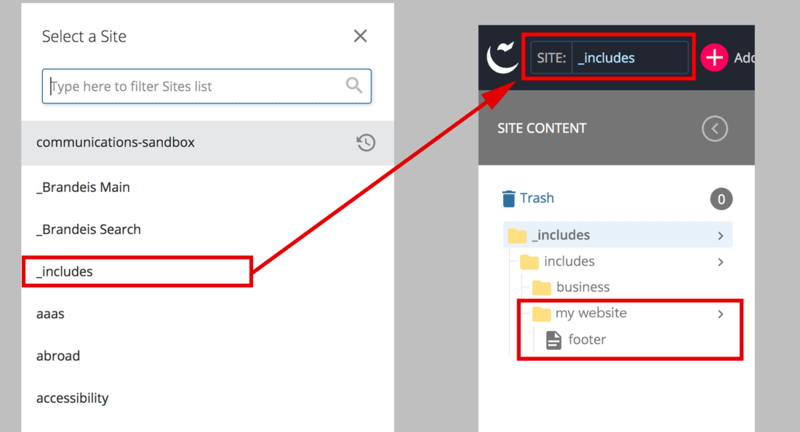 The footer content is located in the site-setup block in the Base Folder of each site. To publish changes to your footer, publish your site's folder from the _includes site (instructions below). 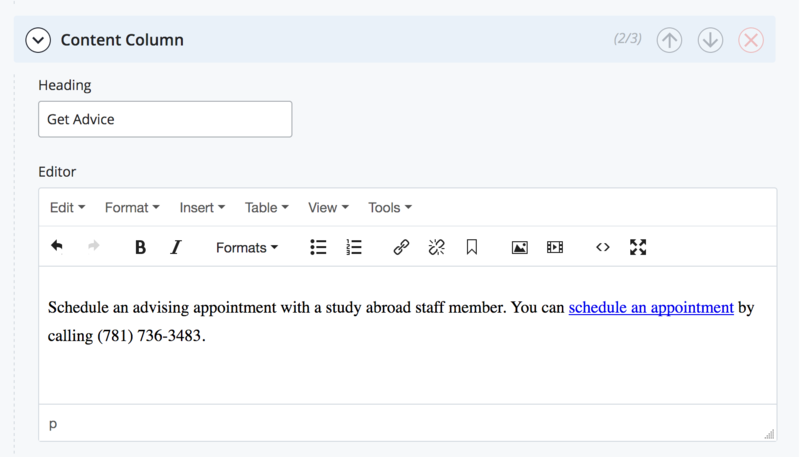 To edit the information in your footer, select the site-setup block in the Cascade navigation, and click Edit. Scroll down to the Footer content section. Each footer column can be found in a different Footer > Content Column content type. Edit the appropriate column using the WYSIWYG editor. If you want to add social media links to your site, select the Yes radio button in the Add Social Links field. In order for the footer to be live on all pages, you must publish your site's folder from the _includes site. From the dropdown menu at the top of Cascade, select the _includes site. Once the _includes site loads, you will see a list of site folders you have access to. Select the site folder, then click Publish. Note: The _includes site only contains your footer file. Publishing this site folder will not publish your whole website.